Even as registered dietitians and certified personal trainers, we love a good celebration and having fun as much as anyone, but we’re not gonna lie, we’re a bit relieved that some of the holidays and many of the social gatherings are slowing down a bit so we can all (us included!) get back on track. After all, everyone feels better after losing the extra party LBs, bloat and heaviness that most feel after too much indulgence. And we’ve got just the tips to get your mind and your body immediately on the healthy train! Remember, during this time, the last thing that you want is something high in calories and heavy; it will only dig you further into a hole. Instead bring an abrupt end to the discomfort from overindulging that you’re feeling (feeling bloating and heaviness anyone?) with wholesome, nutrient-packed foods, i.e., your new besties. What you really need are foods that are packed with anti-inflammatory compounds and antioxidants, potassium, water and fiber, but low in calories and sodium. They’ll immediately get your mind and body back on the healthy track as they hydrate you and flood your body with nutrients to help to neutralize damaging particles while flushing out bloating culprits, like salt. 1. Cut out sugar and artificial sweeteners for a week. The goal is to reset your “sweet” taste buds. By limiting very sweet flavors your taste buds will “reset” themselves as they lower their perception of sweetness. Steer away from sugary drinks, snacks, and treats. Allow fruit to satisfy your sweet tooth—and you’ll be amazed by how well it works! When you go back to sugary foods, you’ll need less sweet flavor to satisfy you. Plus, if you saw our New Year’s Resolution article you know that refined sugars typically add a lot of calories without nutrients, contributing to weight gain—and they also often increase cravings. They seem to weaken the immune system too by reducing your white blood cells’ ability to destroy bacteria. 2. Cut out alcohol. Although generally, a glass of wine can be healthy, while you are cleansing your body, we suggest avoiding it. Not only does it provide calories without nutrients but during the cleanse you’ll be restoring your liver and asking it to detoxify alcohol gives it an extra burden. 3. And for the love of veggies, don’t go on a starvation diet! Diets that are 1,000 calories (and less) simply backfire. They are not sustainable, don’t provide enough nutrients or protein to keep your lean muscle tissue and they are so restrictive that it’s impossible to keep them up for long. When you return to normal eating, you’ve lost muscle—and lowered your metabolism—and weight gain is inevitable! Ahh! 1. Go for foods that are loaded with antioxidants and anti-inflammatory compounds. They help to neutralize toxins and prevent inflammation and damage caused by overdoing it on less-than-healthy toxin-creating foods and drinks. Antioxidant and anti-inflammatory foods actually help to revitalize cells (think vegetables, [especially brightly colored, but all work—and the more the better! After all they are 80-90% water and provide potassium and fiber], fruits, beans, fish). • Crispy Cran-Mango Brussels Sprouts: Brussels sprouts are superstars when it comes to fighting damage and inflammation. Cranberries and mangos are phytonutrient powerhouses too. • Veggie Flush Salad: Light and refreshing, beets have nutrients which help detoxify the body by purifying the liver and blood. A powerhouse trio of asparagus, a natural diuretic; fennel, which relieves gastrointestinal ailments to get your tummy feeling flat; and kale, which plays a role in both phases of the liver’s detoxification process, will have you feeling rejuvenated in no time. 2. Include water and potassium-rich foods (and drinks) that are low in sodium. This is a potent combo that restores normal fluid balance and flushes out bloat and puffiness. Why is this combo so magical? Fluids help to flush out your system while potassium helps to counterbalance sodium. (Go for vegetables [all of them, especially green leafy veggies] and fruits). • Orange-Lime Sparkling Refresher 5 calorie citrus refresher helps to banish bloat and get you feeling light after indulging in heavy holiday foods. • Detoxifying Green Tea Smoothie: Packed with potassium and water plus phytonutrients to neutralize toxins, this refreshing smoothie is delish. Apple Cider Vinegar Mint “Detox” Drink: Among many great ingredients that help to flush bloat, it’s got mint–we like to think of it as a peace maker in the body It eases indigestion and calms the stomach, likely by improving the flow of bile through the stomach, which helps to speed and ease digestion. Thanks in part to it’s anti-inflammatory antioxidant rosmarinic acid, it “calms your insides” to ease the havoc inside your body! • Slimming Raspberry-mint “Detox” Spritzer: Raspberries and lime make this a drink a potassium winner, and at only 8 calories, you can drink it all day long and flush away bloat without the calories adding up! 3. Focus on foods packed with fiber; they’re naturally low in calories. Fiber prevents constipation, keeping your regular. After your body extracts nutrients from food, fiber (think all vegetables, fruits, and high-quality carbohydrates like oatmeal, quinoa and beans) helps to rinse out the remains– waste and toxins from your colon to give you a flat stomach. 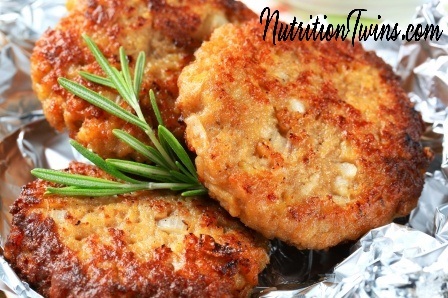 • Chickpea Burgers: Beans are ideal when it comes to boosting fiber; this flavorful burger makes a great fiber rich lunch or dinner. • Slow Cooker Quinoa Chicken Chili: With quinoa, black beans, kidney beans, peppers, and tomatoes, this meal makes a great fiber-rich lunch or dinner to flush wastes out of the body. 4. Go for the veggies with especially powerful detox capabilities. Fennel, bok choy, beets and kale are rock stars when it comes to detoxification. They are some of the few foods that play a role in both phases of liver detoxification. 5. Sweat yourself clean! Skin is the body’s largest organ, and sweating is a great way to help the body with its’ healthy, natural elimination process. Make a goal to sweat daily since this is one way your body eliminates metabolic breakdown products and excess salt.